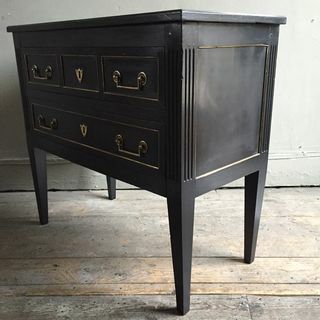 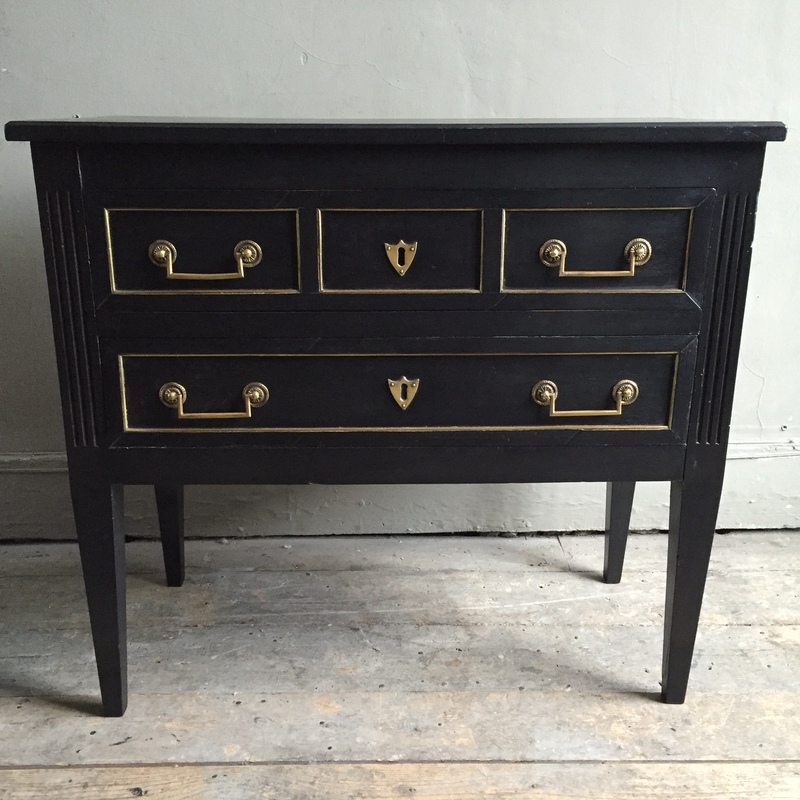 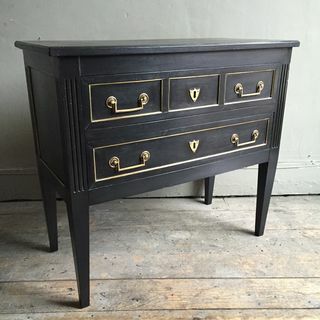 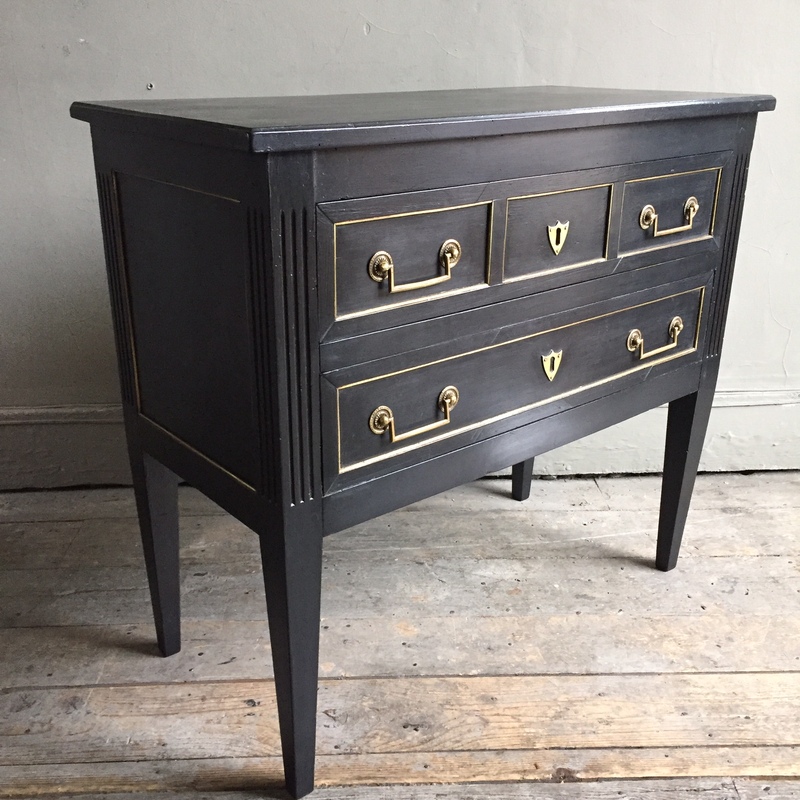 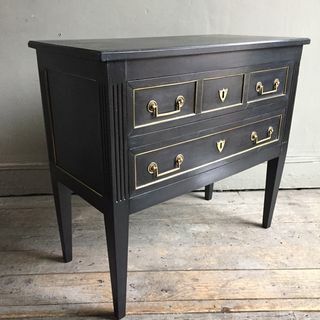 Ebonised two draw commode with brass beading set into the draws and the outside panels, brass handles and heraldic escutcheons, on tapered legs. France. 19th century.